A report said Porsche Cayennes with Audi-sourced diesel engines had much higher emissions than allowed. 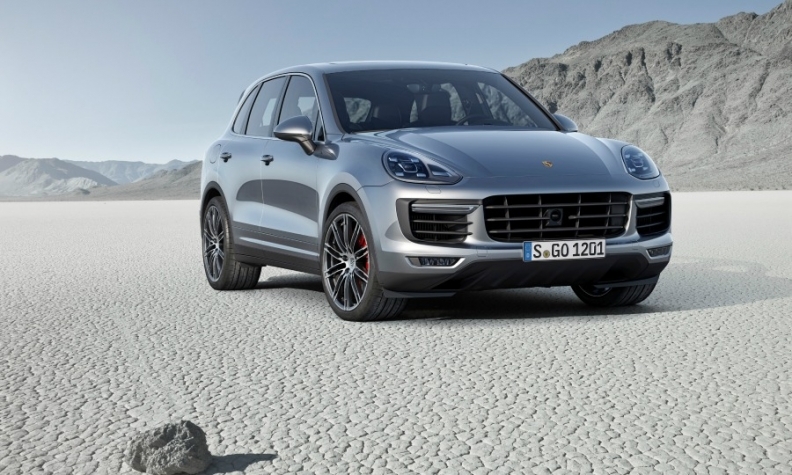 BERLIN -- The German Transport Ministry has ordered an investigation into whether Porsche used a cheat device to hide high NOx emissions from the Cayenne V-6 diesel. The engine is sourced by Porsche from Audi, which itself is under a German government investigation over high emissions from the engines in models such as the A8, A7, Q7 and Q5. The Cayenne SUV is a sister model to the Q7. A transport ministry spokesman said on Monday that the KBA motor transport agency has been asked to examine the emissions in Porsche models. Both Porsche and Audi are owned by Volkswagen Group. German news magazine Der Spiegel reported on Friday that diesel models of the Cayenne V-6 TDI had much higher emissions than legally allowed. The magazine asked German test institute TUV Nord to check emission levels for the model under normal driving conditions. "Emissions in this test were higher than the limits for this type of car," the magazine quoted the head of testing at TUV Nord, Helge Schmidt, as saying. "With these values the car would not have been approved by the authorities," Schmidt said. Porsche said the test results "are not comprehensible" and noted that emissions depend on conditions such as engine load, speed and temperature. Audi has said it will recall affected models for a software update. A source close to Audi said earlier this month that problems in the interaction between transmission and engine control units are to blame for the emissions overshoot. There has been growing scrutiny of diesel vehicles since VW Group admitted in September 2015 that up to 11 million of its vehicles worldwide had software installed that cheated emissions tests. The V-6 was not among these engines. VW was sentenced in April after pleading guilty in the emissions scandal. VW has agreed to spend up to $25 billion in the United States to address claims from owners, environmental regulators, states and dealers and offered to buy back about 500,000 polluting U.S. vehicles.